HOME > Kits > Cherry Candle Mat Kit Black 8.75"
Cherry Candle Mat Kit Black 8.75"
The cherry mat is a nice step up from the penny candle mat kit. 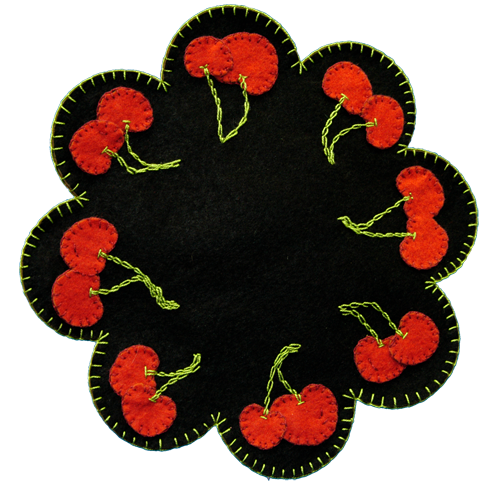 It is 8.75″ in diameter, two layers thick with sixteen cherries of assorted sizes and shape. Everything you need to start is right in the package including precision cut wool felt, floss, a needle and instructions. Made in USA of American materials.